While talks have emerged on a plan that could at least briefly reopen the government, things have reached a tipping point here in Colorado and elsewhere across the country as Americans are becoming more and more fed-up with Washington. CASTLE ROCK, Colo. -- While talks have emerged on a plan that could at least briefly reopen the government, things have reached a tipping point here in Colorado and elsewhere across the country as Americans are becoming more and more fed-up with Washington. Federal workers in Colorado will wake up Friday morning to find another big, fat zero on their paychecks. It’s the second time they've missed a check since this shutdown began last year. 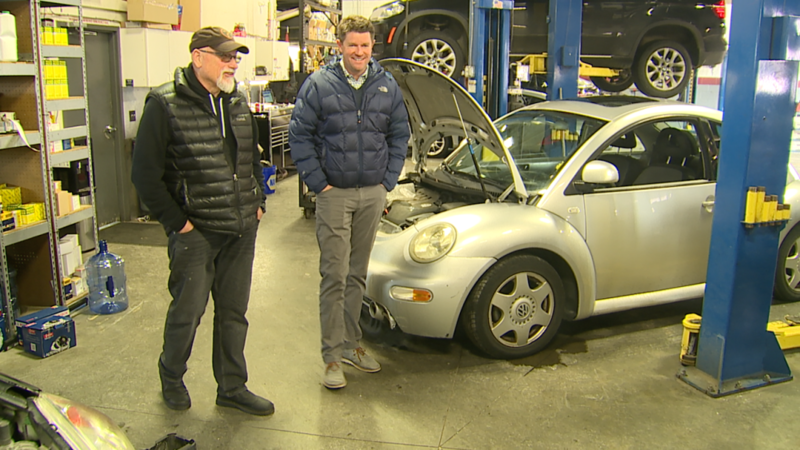 “It’s crazy that it hasn’t been resolved yet,” said Tim Morgan, owner of Castle Rock Imports Auto Care. In his 24th year as a business owner in Colorado, Morgan knows the buck stops with him. "I'm responsible for every decision I make. Whether it's good or bad,” Morgan said. “I'm the one that holds that responsibility." So, given the current dysfunctional situation in Washington, Morgan has decided to lead the charge on a new letter writing campaign, demanding Colorado's congressional leaders give up their pay while thousands of government workers find themselves without yet another paycheck. “I think they should give the money back or they should make sure that it’s getting to the families that need it,” Morgan said. But, the response to his letters so far? Not quite what he was hoping for. "Oh, this is so canned," Morgan said. “Cory Gardner responds back with an e-mail that has nothing to do with my question. He should have just said, 'Yes, I'm getting paid or, no, I'm not getting paid.'" "Bennet didn't even respond to it," Morgan said. “Do they really know what the populous is really feeling?" Morgan now joins a growing chorus of Coloradans calling for an end to the shutdown — and a growing club of businesses offering discounts to furloughed workers . "There's a lot of people out there struggling in the federal workforce," said Chad Shane, chief lending officer for Colorado-based Canvas Credit Union. Canvas, formerly Public Service Credit Union, announced on Thursday zero-interest loans — up to two paychecks — for federal employees, and you do not have to be a member of the credit union to qualify. "They'll bring their pay-stub so we can verify they are a federal employee and then, we can really turn the loan around very quickly," Shane said. “You know, those are people just like me and you. They have kids. They have lives. The need to live." These Colorado businesses are rising to the challenge, filling a void left by the government. "We're people helping people," Shane said.